Nothing says delicious like the bright smile that spreads across a girl's face as she stuffs her cheeks with food. She can barely hold back the mountain of food in her mouth, and she keeps going back for more... Watching a beautiful girl savor a mouthwatering pile of food is charming enough to warm the heart. You would be crazy not to want to join her in this feast! 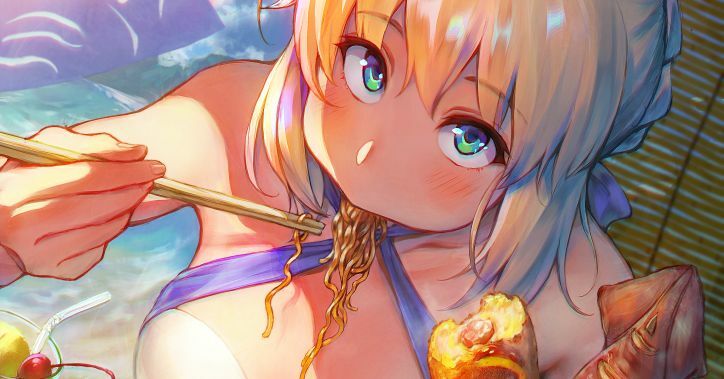 Today we are featuring illustrations of girls eating. Enjoy!